Bring out your passions to life with the perfect item for every occasion with our reusable 350ml coffee cup. Perfect for any coffee lovers! 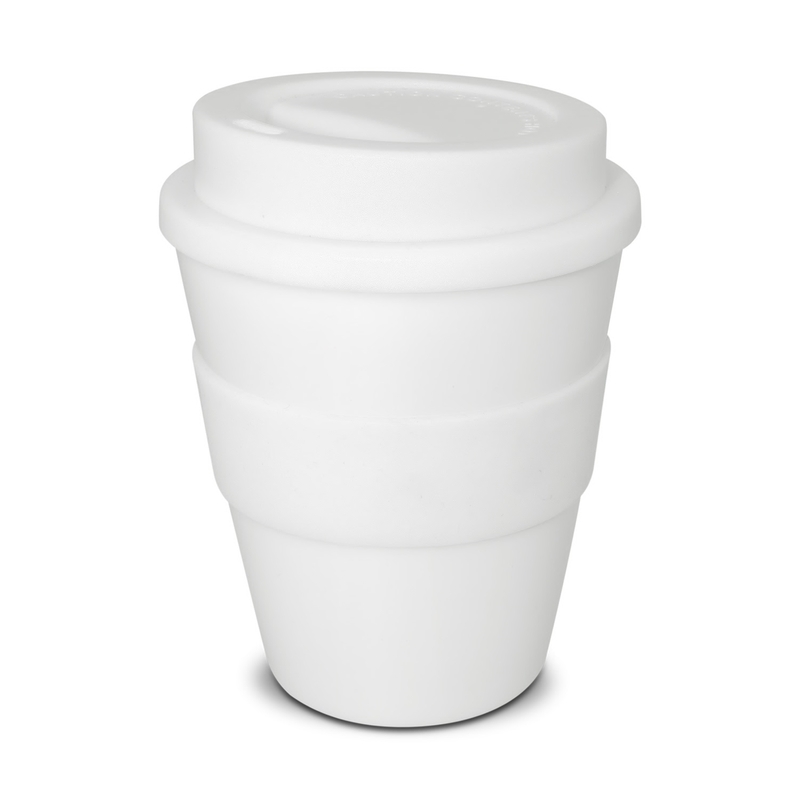 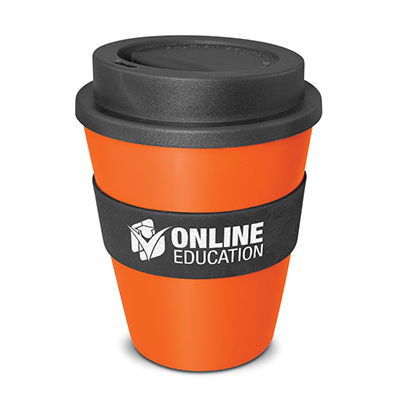 This popular reusable 350ml coffee cup with a heat resistant silicone band and a screw on lid. 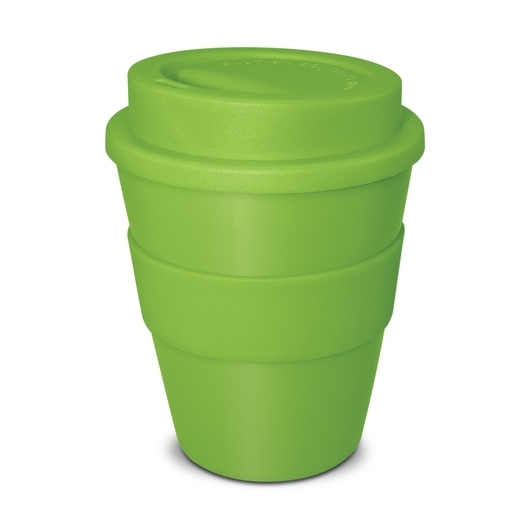 It is manufactured from tough BPA free, food grade polypropylene which is dishwasher safe. 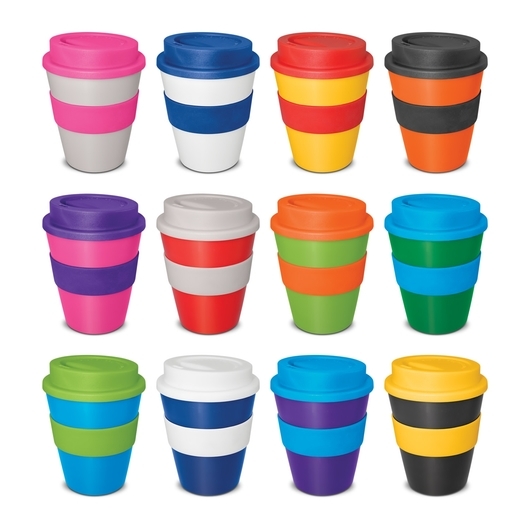 An incredible 1728 different mix and match colour combinations are available and Express Cup can be presented in an optional black gift box.